Swiss humanitarian work involved civilians as well as military personnel. In 1914-1915, over 20,000 French, German, Austrian and Hungarian nationals who had been detained in enemy states on the outbreak of war were repatriated through Switzerland on an exchange basis. In addition in August 1914, some 100,000 Italians who had been living in belligerent countries returned to Italy (which was not yet at war) through Switzerland, assisted by the Swiss Red Cross. 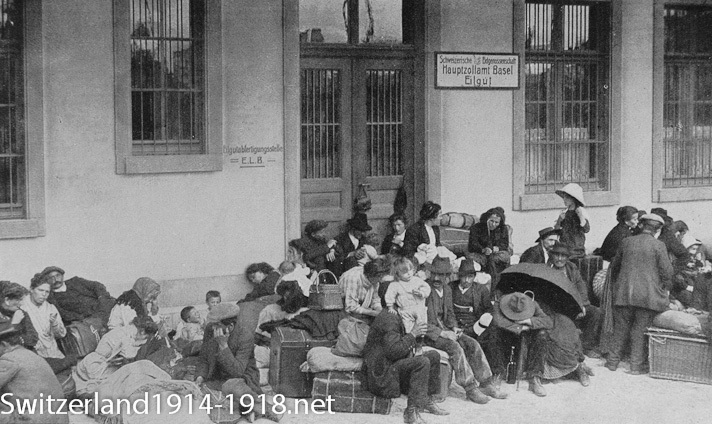 Italian civilians at Basle train station. At the start of the First World War, thousands of Italians were working in France and Germany in particular. Many of them returned home through Switzerland. 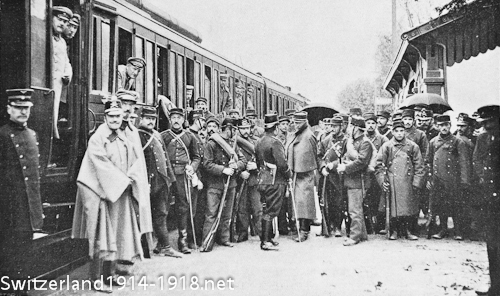 At this point Italy was still neutral, and did not join the war until May 1915. More Italian civilians at Basle, on their way home at the start of the war. 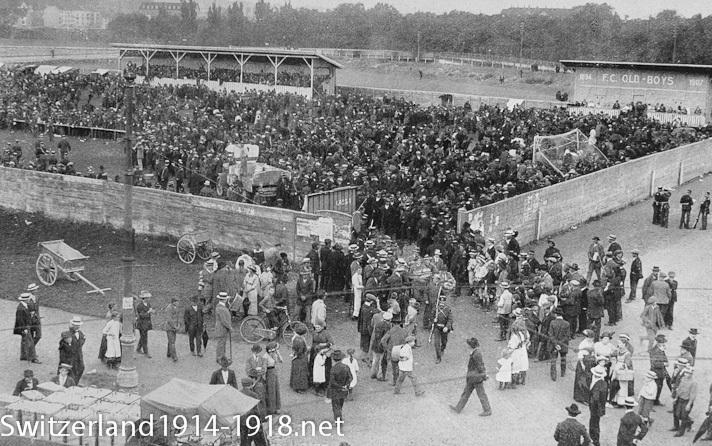 They are on that city's football ground, receiving food and drink while waiting for transport home. A crowd of interested Swiss watch from outside. Belgian children being cared for at Epagny, Switzerland. 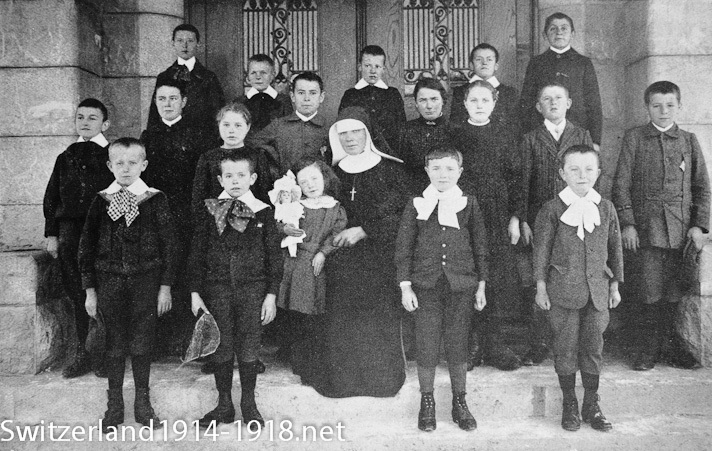 Many Belgian refugees were cared for in Switzerland during the First World War. In October 1914, 167 German medical troops who had been taken prisoner by the French were transferred to Swiss custody, for return to German. Some Germans are leaning out of the train windows, while French and Swiss are grouped next to the train. Exchanges of captured French and German medical troops via Switzerland seem to have taken place regularly, at least in the early part of the war. Click here to return to the Humanitarian work overview page.